More than 1,250 seizures, most of them narcotics such as Tramadol, Marijuana and Lyrica, were made at the Hamad International Airport (HIA) last year. This was revealed by Ajab Mansour al Qahtani, Acting Director of HIA Customs at the General Authority for Customs. Qahtani said people coming to Qatar must declare whether they are carrying any money or jewellery. In case of non-disclosure, if money or jewellery is discovered, then that will be considered smuggling. Any passenger coming into Qatar with goods worth more than QR3,000 must be subjected to Customs, he said. The Customs has placed X-ray inspection equipment at the entry gate, along with an independent unit that has several screens, to detect what is inside the luggage, he added. There is also a system for tracking bags through special codes at any time. Various signs to indicate green and red tracks and the types of goods which are subject to customs duties have also been put up. 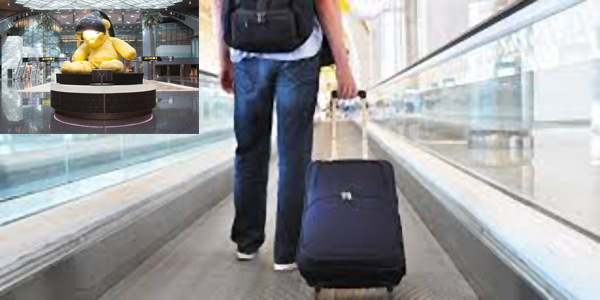 "All bags and belongings of travellers are subject to security monitoring by devices that display all contents of the bags on surveillance monitors," Major Saud Abdulaziz al Musallam, Director of the Airport Security and Passports Department (ASPD), told the Police Magazine as reported by Al Sharq. "If there’s no clarity on things in the bag, the luggage will then be transferred to a control room for security check in 20 seconds," he said, adding that if still confusion prevails, then the luggage will be subjected to more precise checking, over five stages. He said if the inspector is still unsure, then the luggage will be manually checked in the presence of the bag's owner. He said that there is a branch of the follow-up section at the airport where security or customs officers can check a parcel or bag through sniffer dogs for banned items. He said the ASPD has recently installed a number of hi-tech inspection devices, including a panorama device that shows a 360-degree view of a person to detect whether he/she is concealing any contraband. There are also devices to detect banned items.